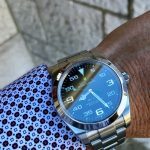 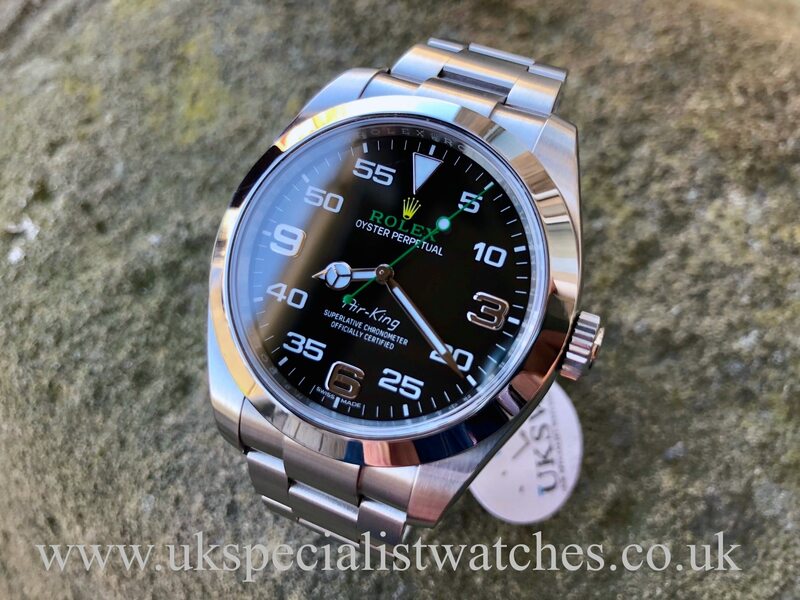 Rolex Air-King 116900 with a new larger 40mm case, gloss Black dial with military style markers counted in multiples of 5, applied 3,6,9 polished indices with luminous hands and 12 O’clock marker. 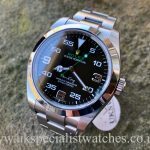 This new model Rolex Air-King is the first Rolex to feature a two colour Rolex crown and signature and the retro font from the 1950s Air-Kings. 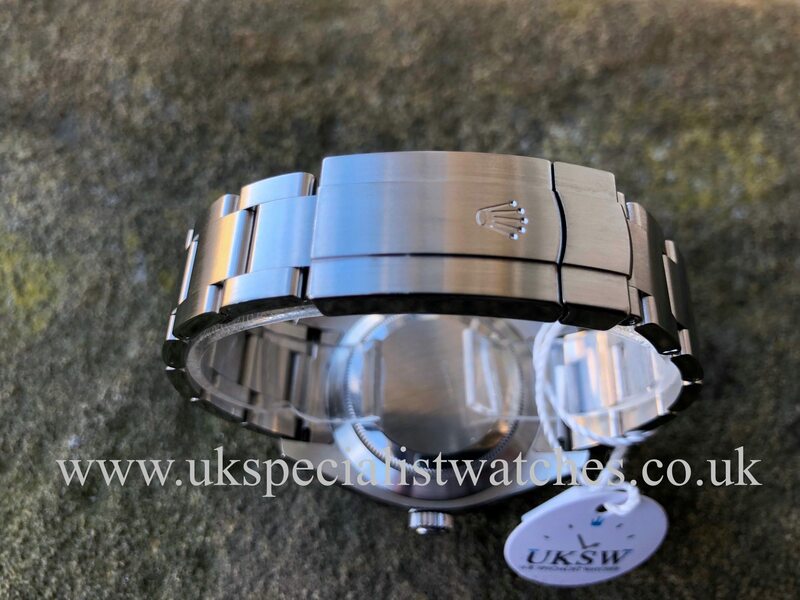 Fitted to a solid stainless steel Oyster bracelet with double folding Oyster clasp and the comfort extension link. 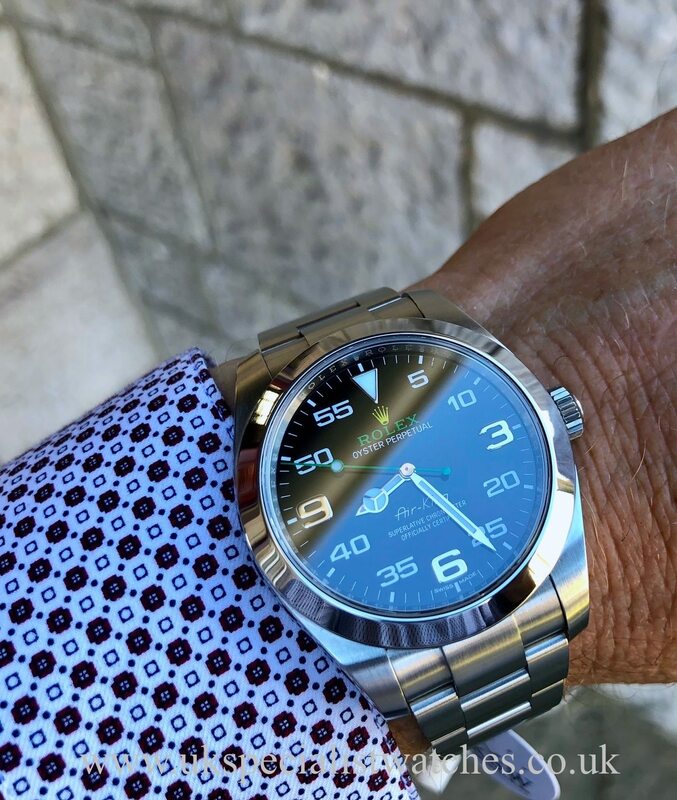 Powered by an automatic cal 3131 movement. 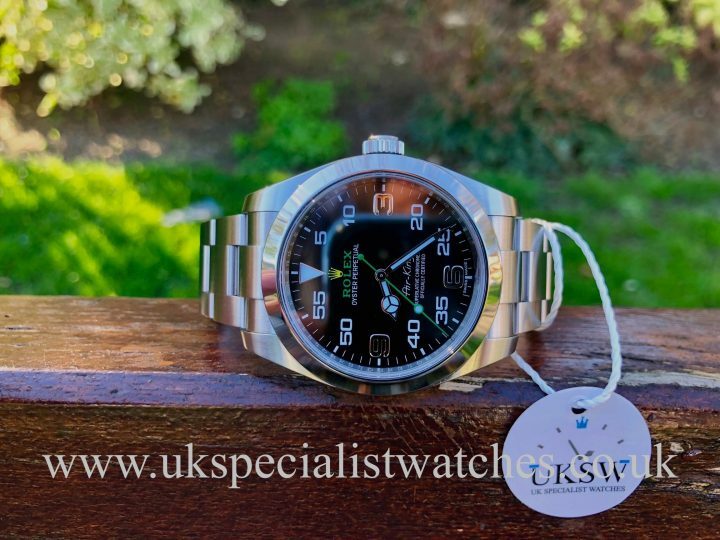 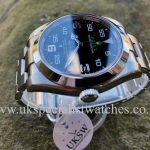 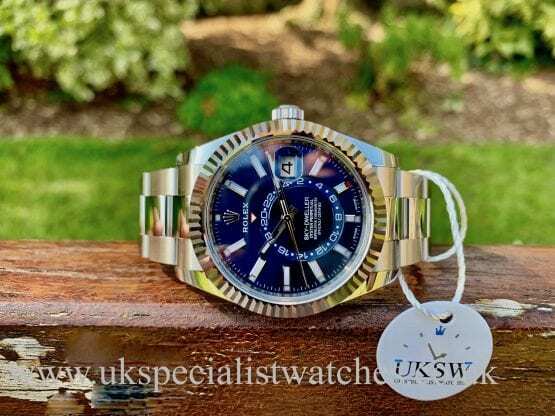 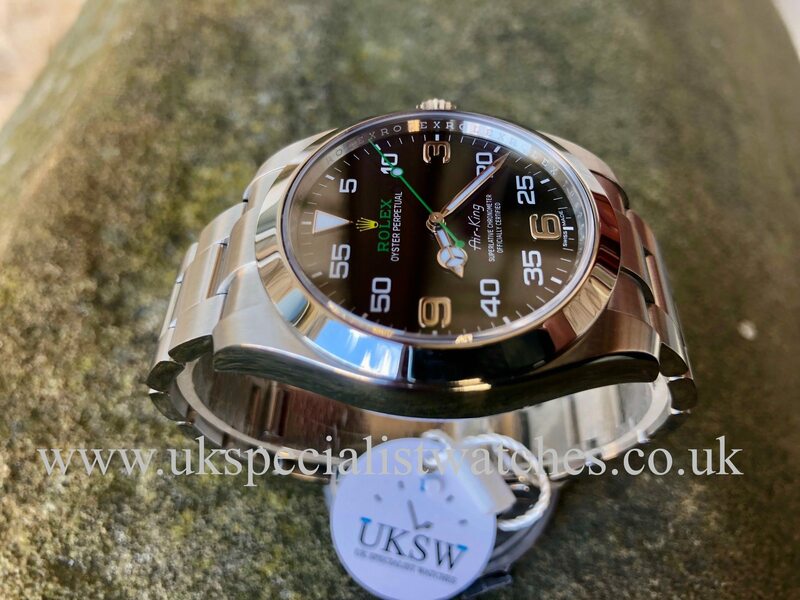 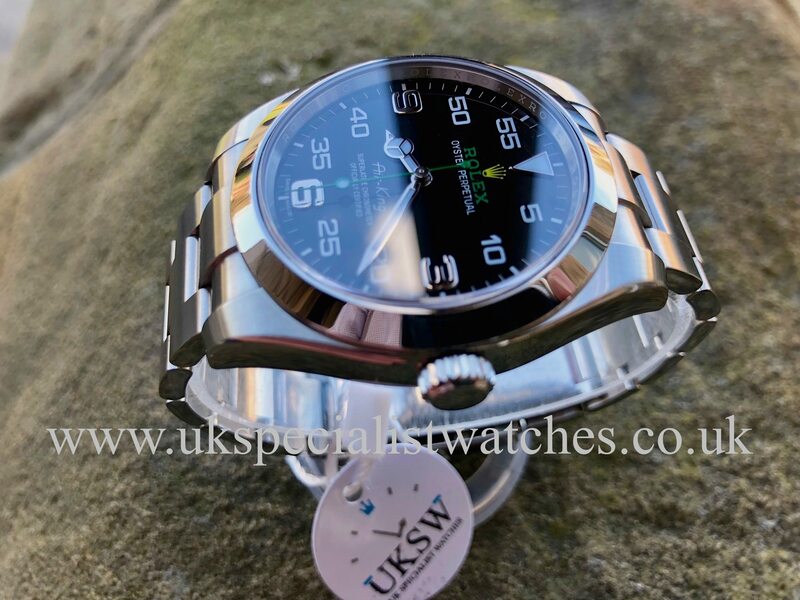 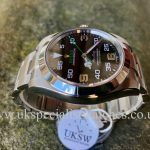 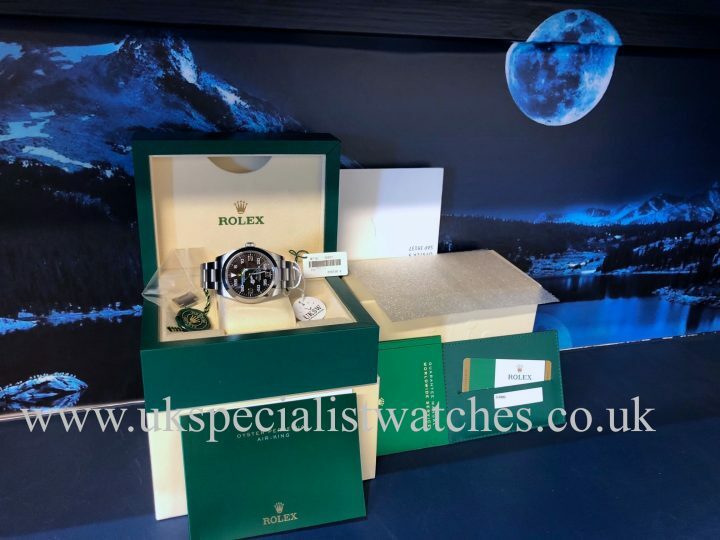 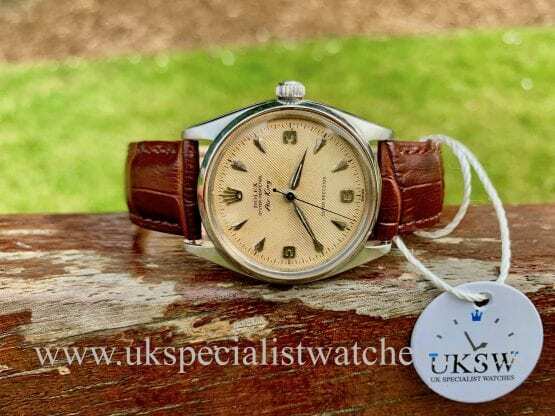 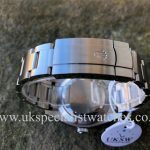 Our example was UK supplied new in 2017 and comes complete with the remaining Rolex 5 year international warranty, original boxes stamped warranty card, both swing tags. 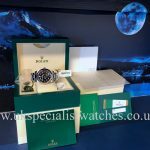 This example is a fantastic entry level sports model and represents excellent value for money!